The Federal Circuit Bar has just posted the formal announcement of its Bench and Bar program with the China Law Society, which will be hosted at Renmin University May 28-30, with the the support of the US Court of Appeals for the Federal Circuit, the Supreme People’s Court of China, the US Patent and Trademark Office and the State Intellectual Property Office, amongst others. This will likely be the largest bilateral IP program in US-China history, with an anticipated attendance of 1200-1400 people, including 150 or more from the United States, 200 Chinese judges, 8 CAFC judges, and the heads of the USPTO and SIPO, business people, students and academics. 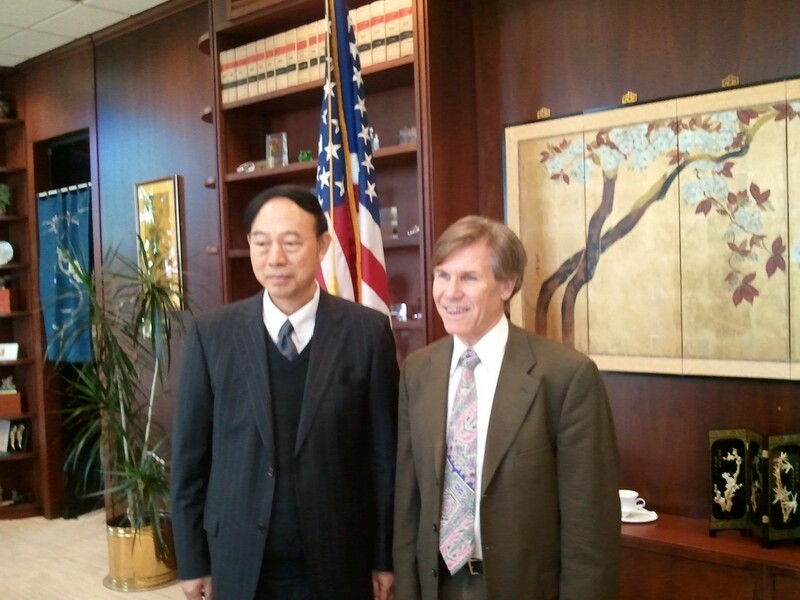 Chinese academics and officials have characterized this program as potentially historic, and is a testament to the active engagement by Chief Judge Rader of the CAFC with the Chinese judiciary and other officials. While the conference focuses on patent litigation, it will also discuss copyright, trademark and general civil law prosecution issues, and is expected to include industry, judicial and official presentations, as well as a moot court. The information for the conference in Chinese can be found here. US registration is now open. Full disclosure: I have been serving as the volunteer US chair for the organizing committee for this exciting event. As of late March of this year, I have also begun to serve as an adviser to the USPTO on this and other China-IPR related matters. This entry was posted in China IPR, Copyright, Events, Patents and tagged Bench and Bar Program, Bilateral engagement, CAFC, Chief Judge Rader, FCBA, Renmin University, SIPO, SPC, USPTO. It’s really a historic event. Congratulations Mark !